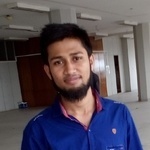 Hello, I'm a Professional Data Entry Worker and also experience at web research. My Services like data Entry, data collection, Data analysis, web research, copy paste or...Read moreHello, I'm a Professional Data Entry Worker and also experience at web research. My Services like data Entry, data collection, Data analysis, web research, copy paste or any other task of Excel . I will work for your company and individual with on-time delivery with 100% quality. How are you? Hope that you are well and healthy. Are you looking for someone for design logo for your personal, Business or company. For that i am here to do it. why choose me ? Because I have enough skill to do it. You can hire me for your task because i will satisfy you by my work. I can deliver fast as soon as possible. If you have any questions please Fill free to message. Please contact me first before placing an order to avoid confusion.